There is currently an exhibition in Holland about the love affair between the poet Paul Celan and Diet Kloos, a Dutch woman who had been a member of the resistance during World War II. 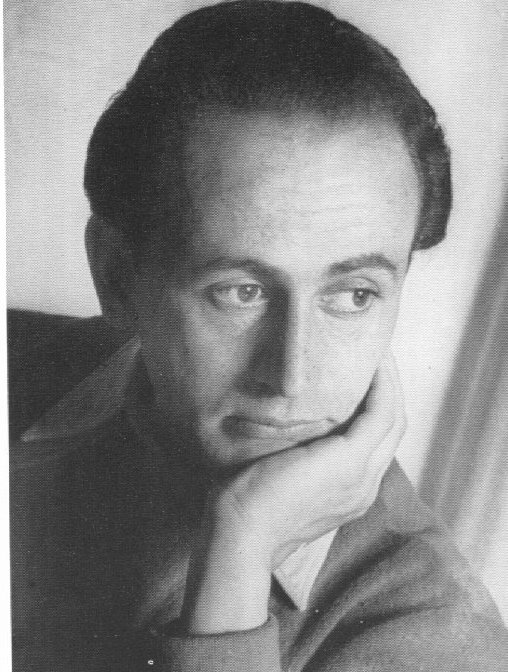 I’ve written before about Celan – one of the most important figures in post-war German literature. However, until now I didn’t know much about Kloos, an oratorium singer whose husband was executed by the Nazis in 1945 after being tortured in front of her. Celan and Kloos met in Paris in 1949, when Celan was studying at the Sorbonne and Kloos at the conservatory in The Hague. The exhibition is based on the 12 letters that Celan sent Kloos during the following year (Kloos’s replies have been lost). The correspondence also includes three of Celan’s early poems, including his most famous, “Todesfuge” (“Deathfugue”, as John Felstiner translates it), which was written in 1944 and published in 1948. Celan and Kloos first met at a cafe on the Boulevard Saint-Michel in Paris in August 1949, when Kloos was on vacation with a friend. Celan and Kloos were both in their twenties and struggling to overcome the trauma they had suffered during the war and begin a new life. They started talking in French about their experiences during the war. However, Celan subsequently asked Kloos if they could continue the conversation in German – which was both his mother tongue and the language of the perpetrators. The 12 letters he subsequently wrote to Kloos – which inevitably remind one of Kafka’s famous letters to Felice Bauer – are also in German. Occassionally there is something of the strange syntax and vocabulary of Celan’s poetry that George Steiner has described as “Heideggerian”. Although the Holocaust is mentioned explicitly only a couple of times, it resonates through them – much as it does in Celan’s poetry. In one of the letters, Celan talks about the song “Strange Fruit”, to which he later returned in the poem “Mapesbury Road” – the subject of my previous post on Celan. Celan and Kloos had seen the African-American singer Gordon Heath perform the song at a cafe in Saint-German-des-Prés during the week they first met, so it had a special meaning for them. When Celan returns to the same cafe for another concert in September 1949, he gets into a conversation with a Norwegian man who, upon hearing Celan’s accent, begins asking him what he did during the war. Celan concludes he had been a Nazi collaborator during the German occupation. Just when you think you have escaped the past, Celan writes to Kloos, you realise it was there all along. This entry was posted in German literature and tagged resistance. Bookmark the permalink.